If wildfires are occurring within several hundred miles of your home, tune to a local station on your radio or television for news, recommendations and warnings. If you are advised to evacuate the area, you should do so immediately, and take your wildfire or emergency supply kit with you. In addition, lock the doors to your home and drive away from the fire. Always be aware of any changes in the direction of the wind and smoke. Alert family or friends of your actions, and let them know your planned route and destination. 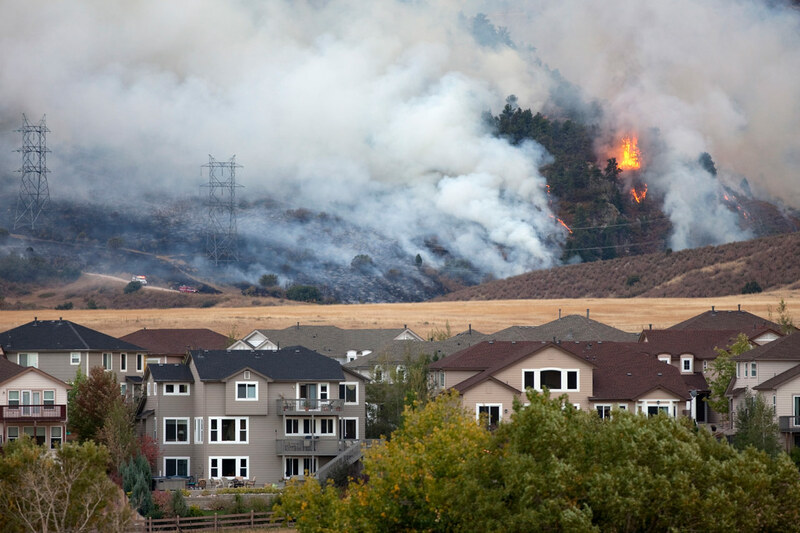 If you see a wildfire but have not been notified by an outside agency, call 911. Never assume that this is being done by another person. You may be the first to notice. Call someone you know outside the range of the wildfire to arrange a place to stay should you need to evacuate. Wear long clothing made of cotton, wool or fire-retardant fabric when outside, and always protect your face. Collect all tools that could be useful for fire management, such as rakes, axes, saws, shovels and buckets. Shutter and close your windows and doors. Close all of your interior doors to slow the flow of air. Turn off valves on your supplies of natural gas, propane and heating oil. Fill any large containers on your property with water. Place running sprinklers on your roof and near your fuel tanks. Disconnect your automatic garage door opener, so you can open the door manually. Lean a ladder up against your house in case firefighters may need it. Put valuables in a fireproof safe or, if they are waterproof, submerge them in a pool of water. Gather important documents and put them in your car. Load your pets into the car. Move your furniture away from walls and windows, leaving it in the center of the room. Turn on every light inside and outside of the house to increase visibility. Drive safely to your designated evacuation point. 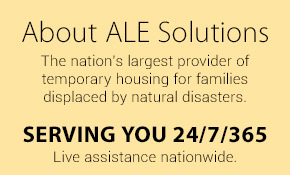 Be more prepared for disasters by learning about ALE’s disaster response solutions.